The California drought has killed more than 102 million trees in a die-off of forests that increases the risk of catastrophic wildfires and other threats to humans, officials said Friday. The latest aerial survey by the U.S. Forest Service shows there are 36 million more dead trees since May in the state and there has been a 100 percent increase since 2015. "These dead and dying trees continue to elevate the risk of wildfire, complicate our efforts to respond safely and effectively to fires when they do occur and pose a host of threats to life and property," U.S. Agriculture Secretary Tom Vilsack said in a statement. Late last year, Gov. Jerry Brown formed a task force charged with finding ways to remove the trees that threaten motorists and communities. Vilsack called on Congress to act, saying more federal funding goes toward fighting fires than forestry management, such as removing dead trees to improve forests' health. Some environmentalists argue, however, that a die-off is part of a healthy forest's life-cycle. They favor leaving the trees that need to be cut down on the forest floor to decompose and serve as wildlife habitat. 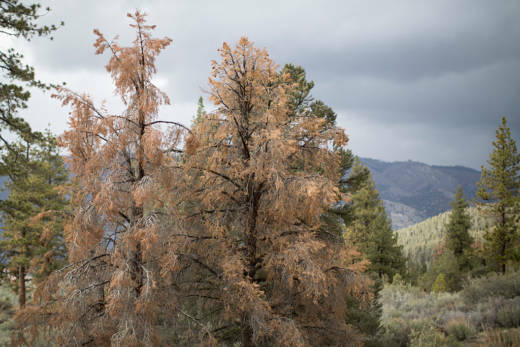 Most dead trees are in the central and southern Sierra Nevada, officials say. 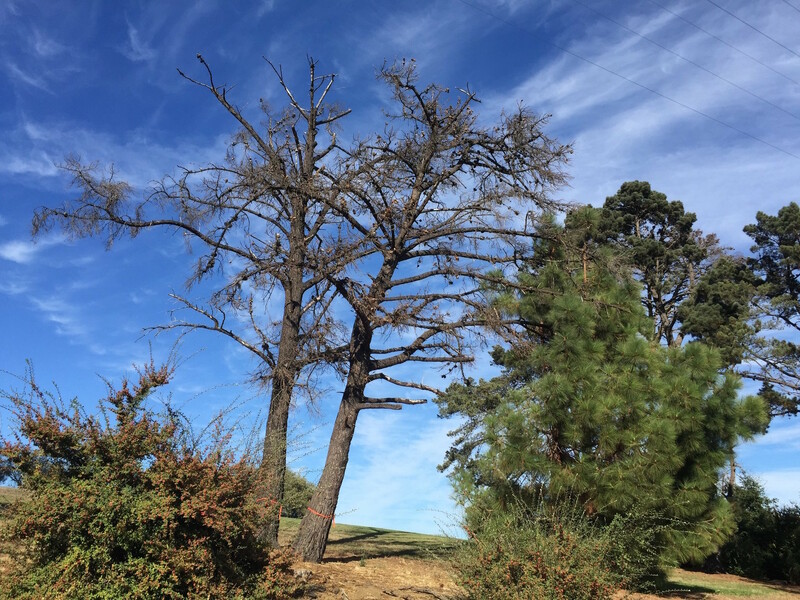 However, they're also beginning to find dead trees in Northern California counties such as Siskiyou, Modoc, Plumas and Lassen. More trees are expected to die into 2017, U.S. Forest Service officials say. People assume the tally amounts to too many dead trees, but fire suppression has created unnaturally green forests with far too little wildfire and dead trees, said Chad Hanson, a forest ecologist at Earth Island Institute's John Muir Project. "We don't want too much and we don't want too little," he said. "This is not too much."